If you’re looking to be a serious player at the drag strip this is the kit for you! The Nitrous Outlet 2011+ Ford Mustang GT plate system is capable of delivering up to an additional 400HP to your Coyote. 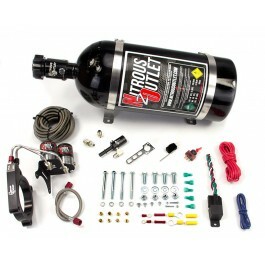 This nitrous system is designed specifically for the 2011+ Ford Mustang GT and 5.0 Coyote F-150. 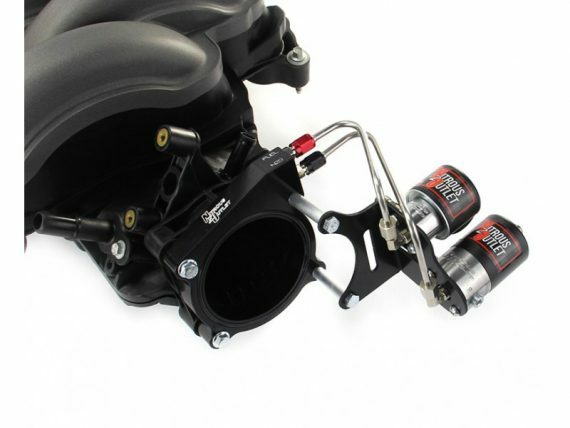 The pre-bent hard lines and black powdercoated solenoid mounting bracket make installation a breeze while keeping everything under the hood looking as clean as possible. This system includes a 5.0 specific fuel adapter to tap into your factory fuel system and all necessary gaskets, seals, and mounting bolts. This Nitrous Outlet plate measures .75″ thick, and is anodized in gloss black and laser engraved to ensure it will look great for years. 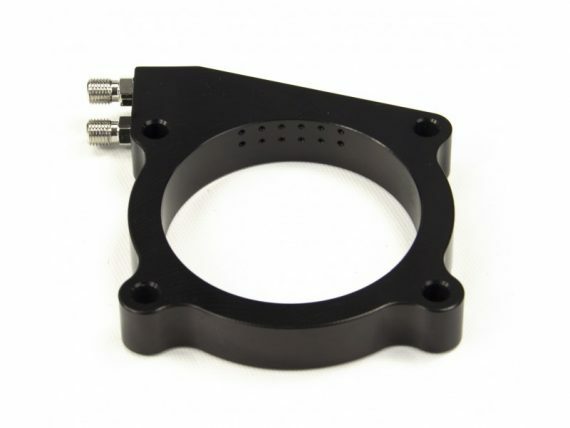 All Nitrous Outlet plates are CNC milled out of T6061 billet aluminum for long lasting looks and performance. 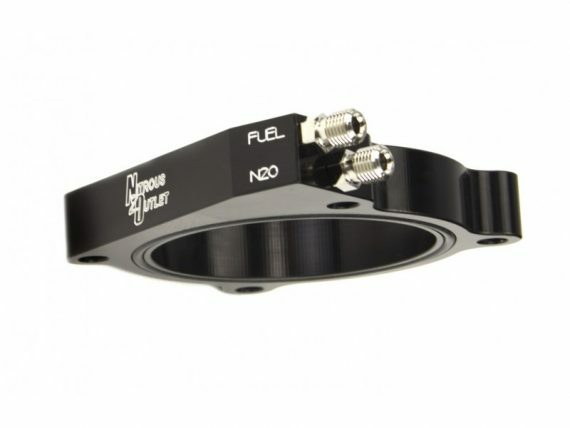 The plate has 6 individual fuel and nitrous discharge ports to ensure total saturation of the incoming air charge and the best possible cylinder to cylinder distribution for a plate system. 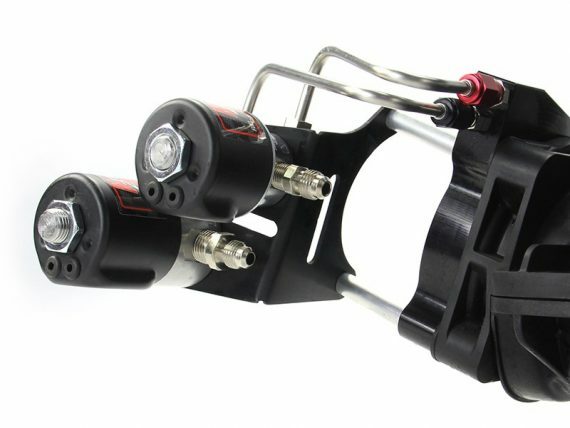 The rebuildable .122 Nitrous and .177 Fuel Solenoids have CNC machined stainless steel bases and powder coated steel cans to ensure years of durability. 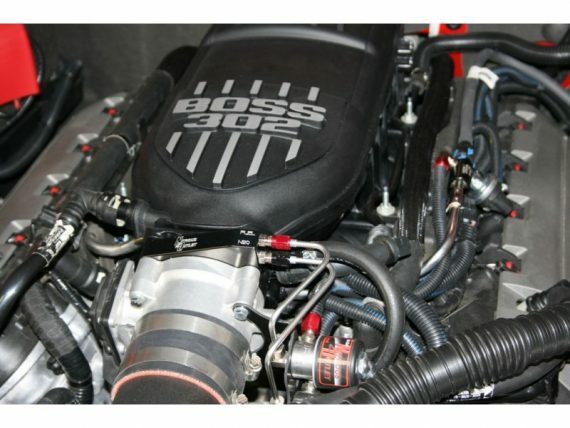 The Nitrous Outlet 2011+ Ford Mustang GT plate system includes jets for 50, 100, 150, and 200HP. This system is capable of spraying up to 400HP. Additional jetting is sold separately. Available for both Gasoline and E85 applications. Any time you install nitrous onto a vehicle, it is recommended you use a colder spark plug and have a way to retard the timing. For more information, call us at 254-848-4300. Designed by O&E Speed Shop Team..